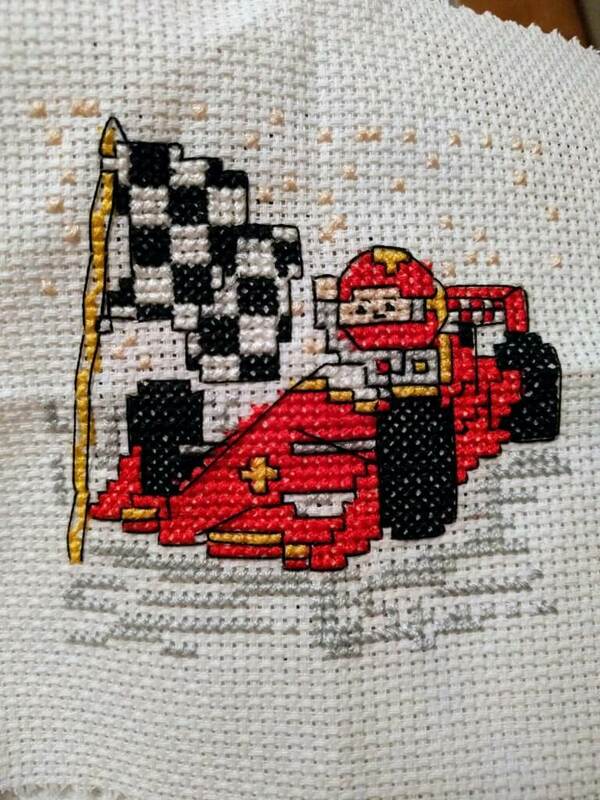 I used to do cross stitches a fair bit several years ago, just small ones that can fit in cards etc, but as with a lot of hobbies, like got in the way and I haven’t done one in a long time. 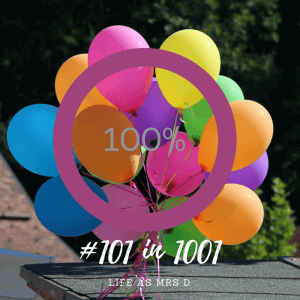 I decided it would be a good thing to add to my list of 101 things to do in 1001 days, as it was something I used to really enjoy doing, it’s fairly easy, and something pretty (usually) comes out of it. I popped in to our nearest town, and I knew there was a small craft shop so nipped in and asked as to whether they had any cross stitches available. The lady there was so kind and really helpful. She showed me all the options they had there, and explained bits to me. There was a really nice Noah’s Ark cross stitch that I would love to do one day, but I decided as my first attempt in several years it would not be wise. Especially as I only had a limited time to complete it in. And so I think I cheated a little bit. 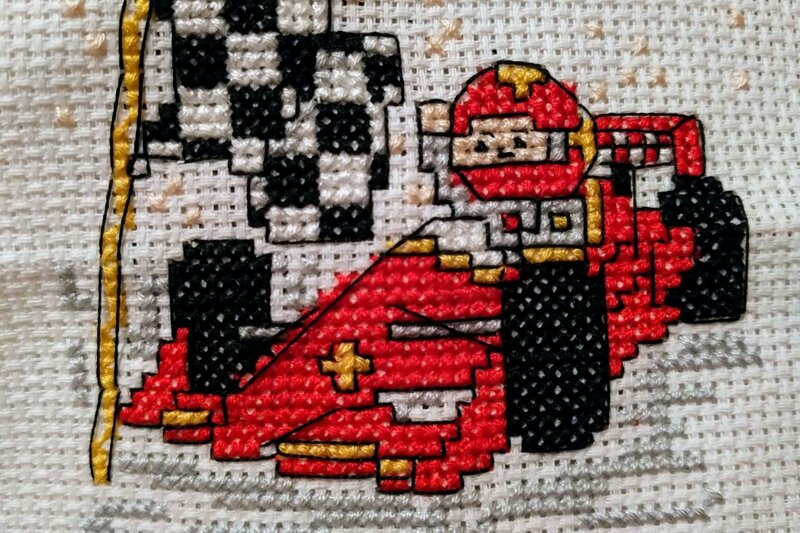 At no point had I specified what size cross stitch I had to do, and so just chose to do a small one that would fit in a card. I found this race car one, which I thought would be perfect to make into a birthday card for one of our friends who loves cars and racing. It also meant that I had to have it finished in a small time frame as we were seeing him just before his birthday, so it needed to be done for then. 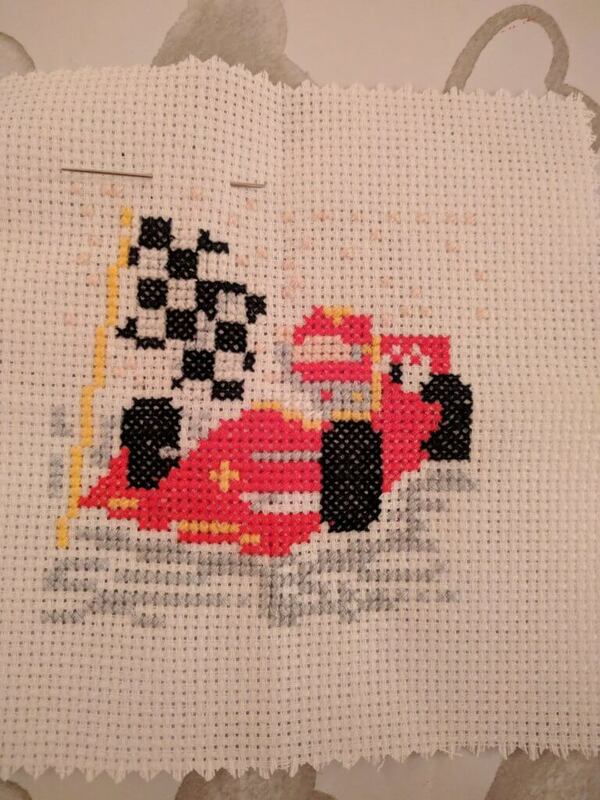 I really enjoyed completing this cross stitch, even though I did mess it up a bit. I’m not sure whether you can really tell, but I missed out a column in one place so there is part of it that is too far over, and so some bits aren’t quite right. But I still think it looks alright for a first attempt in a number of years. 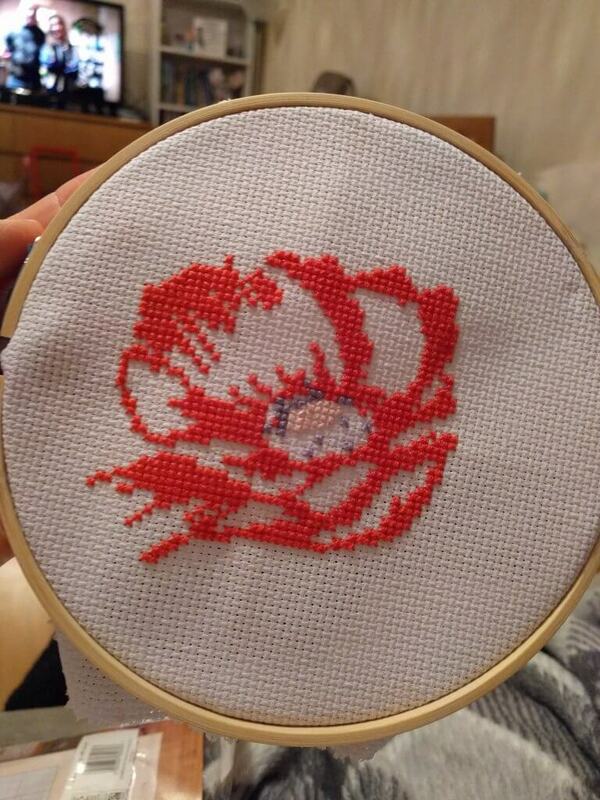 In fact, I enjoyed it so much that I’ve already bought myself a new cross stitch, one that is more difficult (mostly trying to figure out which colour threads relate to which symbols on the instructions!) and this one is a lot bigger than the racing car. I’m thinking its a hobby I may continue, as it’s fairly relaxing and keeps me occupied during the evenings once Isla is in bed.